What a week for the farm! We are getting use to the intense heat of the day – as we are hydrating oursevles, as well as the other animals and the plants and moisteriizing the soil with the help of the deep aquifer below which helps to mollify the micro-drought on Amador Hill. It is a fun challenge to manage all the systems on our farm—soil health, crop vitality, orchard care, animal stewardship, field rotations, crop planning, beekeeping (happily now handled by our Amador Hill Bee Club mentor and WEI faculty mentor, Mike Mackiewicz), fish care and compost building. 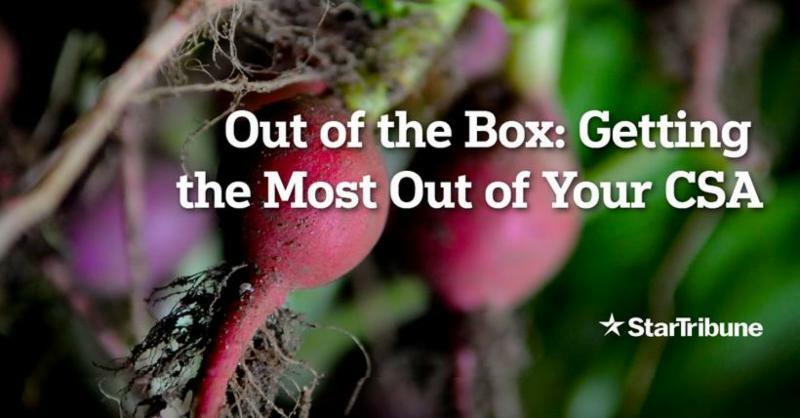 These systems require daily record-keeping, check lists, as well as good ways of caring for the humans working the farm and the needs of the soul in all these interacting systems. 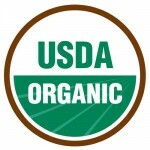 We do all of this with big-heart farmer feelings while practicing strict loyalty to the principles of organic farming and to the techniques and strategies allowed by the USDA standards of organic farming. So, for example, this week included hanging the red balls on the apple trees to attract the pregnant apple maggot fly into a sticky red ball where she succumbs to a quick end. Such a slow gooey afternoon replaces the petrochemical warfare on more commercial orchards. For us the time together was memorable. 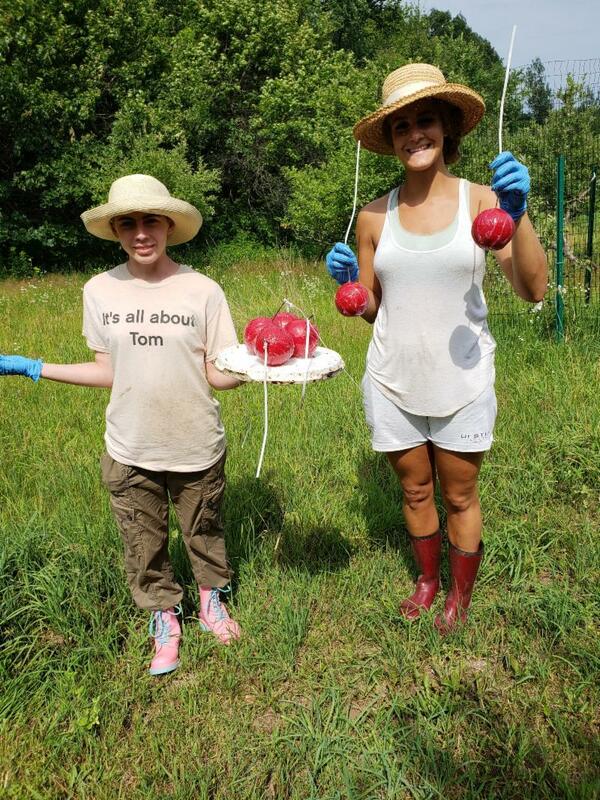 The balls are working and our interns – Ari and Kory -- take some time to pose for photo fun. PS: PLEASE RETURN YOUR BOXES TO YOUR DROP SITE FOR WEI PICK UP. We invite you to visit the farm this weekend! 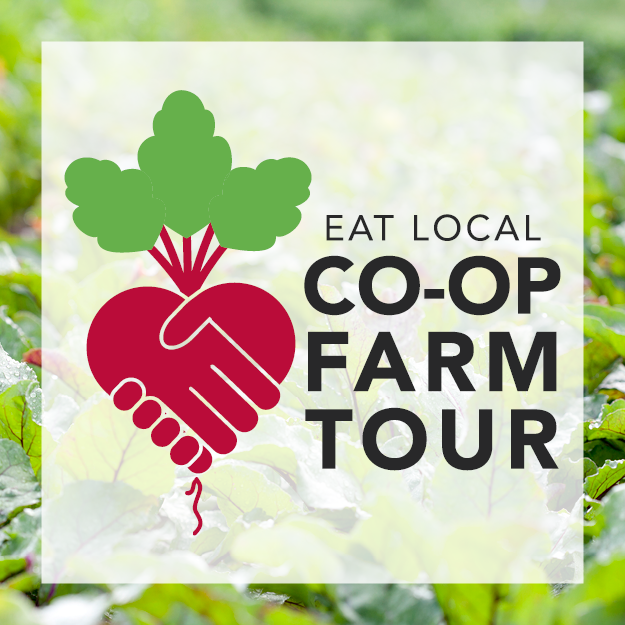 For more opportunities to visit the farm check out Upcoming Events at w-e-i.org. 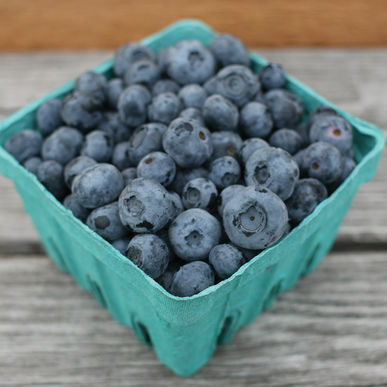 Delicious juicy fresh farm blueberries! Pop them in your mouth and experience the bliss! No need for finding a blueberry muffin recipe, these are too fresh and amazing for baking, just eat them up! Storage: Refrigerate in their container unwashed for up to 3 days (if they last that long)! 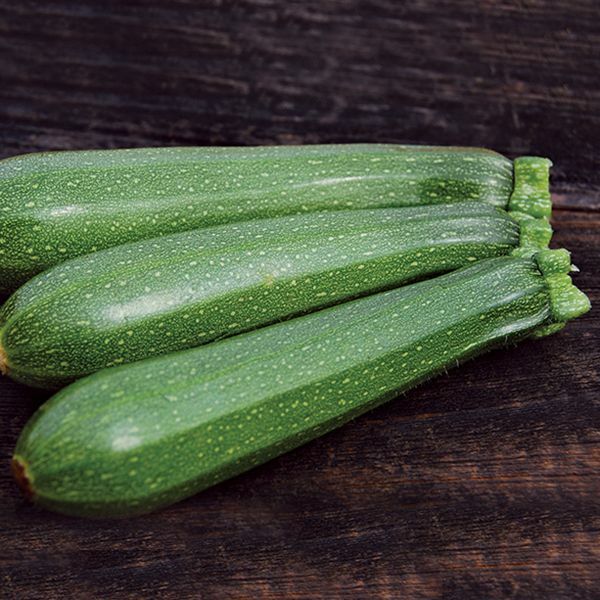 Zucchini, along with other summer squash varieties are nice meaty vegetabels with a mild flavor that make them adaptable for many types of cuisine, from italian, to french, thai or indian. They are low in calories with no salt or fat and a good sources of vitamin A and C, so don't hold back! Eat raw or cooked, they provide a great opportunity to use your spiralizer, or a reason to start of the grill on a hot day. Cut into long wedges and serve with a richly flavored dip (See Romesco below). Storage: Refrigerate in vegetable crisper drawer, loosely wrapped in plastic for up to a week. You can’t go wrong with green onions. They are a perfect start or finish to any recipe. Remember to eat some alliums each day for your health! Storage: Refrigerate in the crisper draw, wrapped in plastic for 5-7 days. These are a special treat! 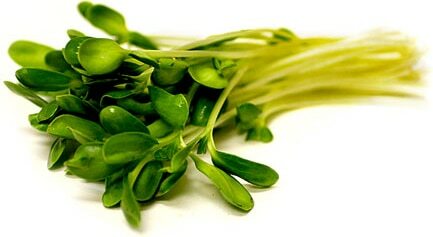 Thick, crisp micro green shoots offer a contrast in texture and eye catching appearance to salads, garnished over seafood, meat or special side dish. Avoid the temptation to toss these precious greens into the salad, they are better showcased right on top! Dress lightly in lemon juice and eat as a snack. 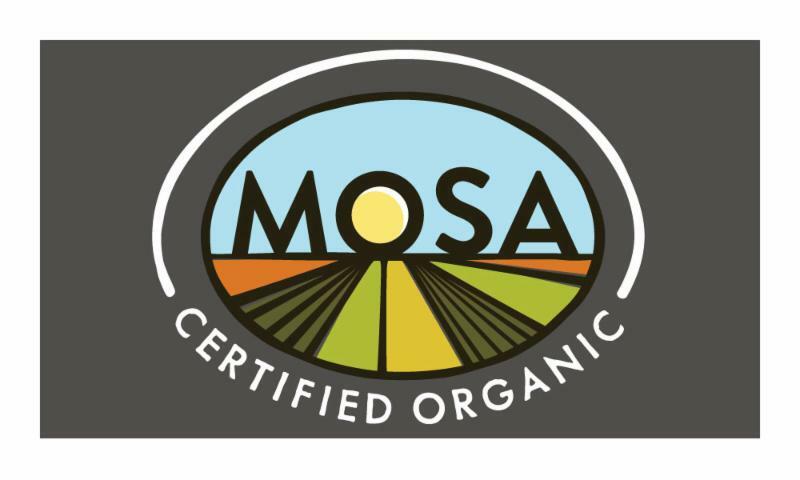 Micro greens a hold high concentration of nutrients, and sunflower shoots in particular have 8 of the essential amino acids, many vitamins, minerals as well as a good amount of healthy unsaturated fat. Storage: Refrigerate in their bag up to five days. Enjoy this refreshing herb in guacamole, smoothies, stews on top of poultry or fish. This herb is exceptionally high in vitamins A and K and regarded for a variety of health benefits including aiding in liver function and digestion. 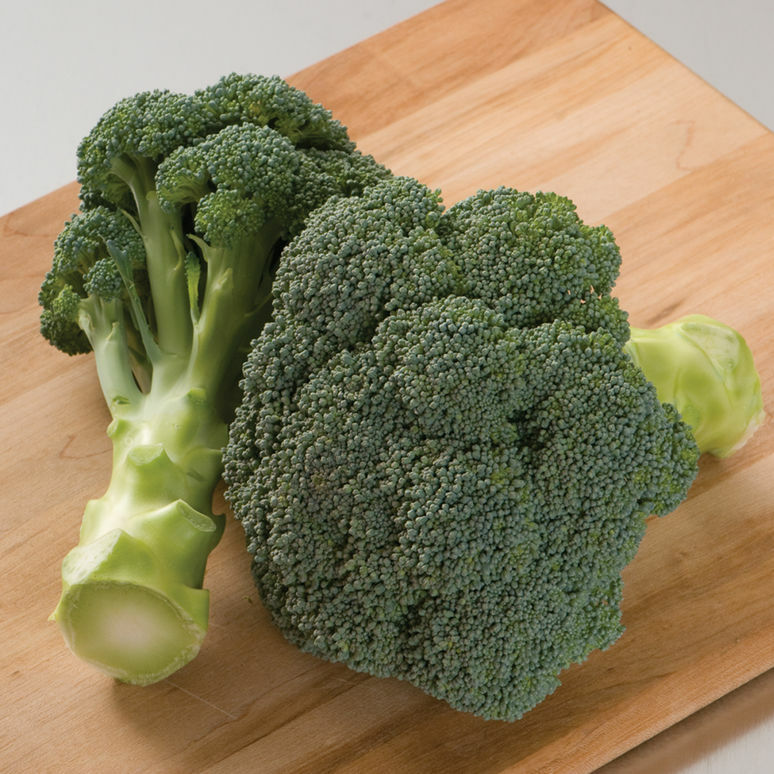 The first broccoli of the year is always amazing. You’ll love it in pasta salad, lightly grilled, steamed or just for snacking. Storage: Refrigerate in the crisper drawer wrapped in plastic for ten -fourteen days. Another picturesque butterhead variety, so flavorful and light. We hope you enjoy a salad, tossed with green onions, julienned basil, and thin sliced radishes, topped with a good handful of sunflower shoots. 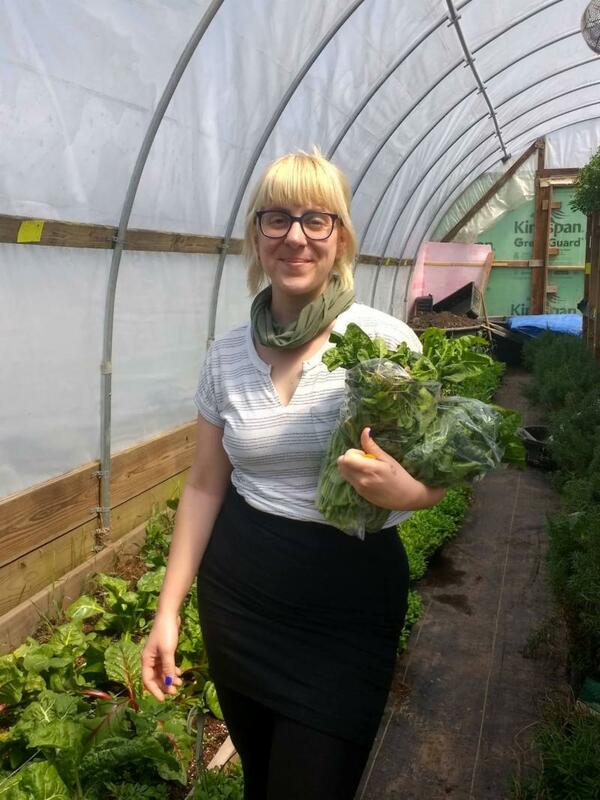 See Lauren’s VINEGAIRETTE 101 in last week’s e-newsletter! Or try this lettuce with Lauren's Romesco recipe shown below - just spread the dip over individual leaves and serve on a platter for a stunning and dinner starter. 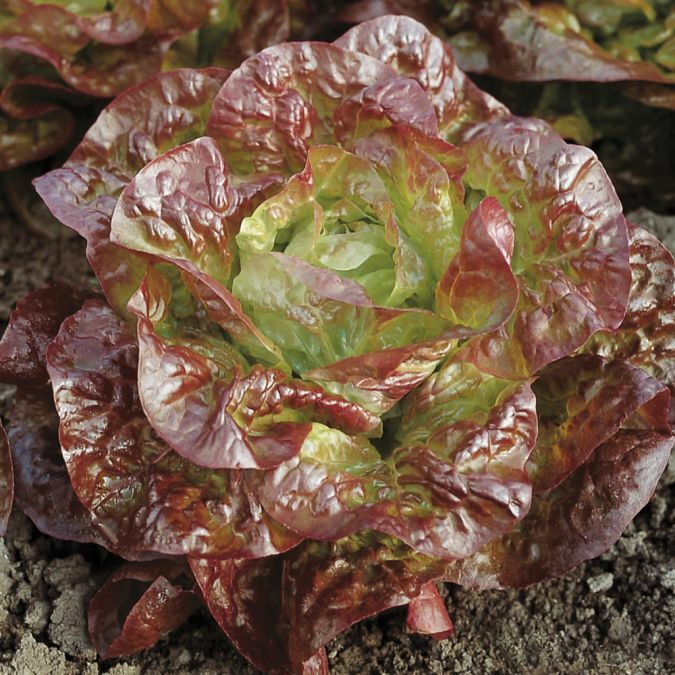 Storage: Head lettuces can be loosely wrapped with a paper towel and stored in a plastic bag for 5 - 7 days. A very mild radish, so mild it is suitable for breakfast! This is a good week for avocado or cream cheese toast. Storage: Refrigerate in their container unwashed for about five days. 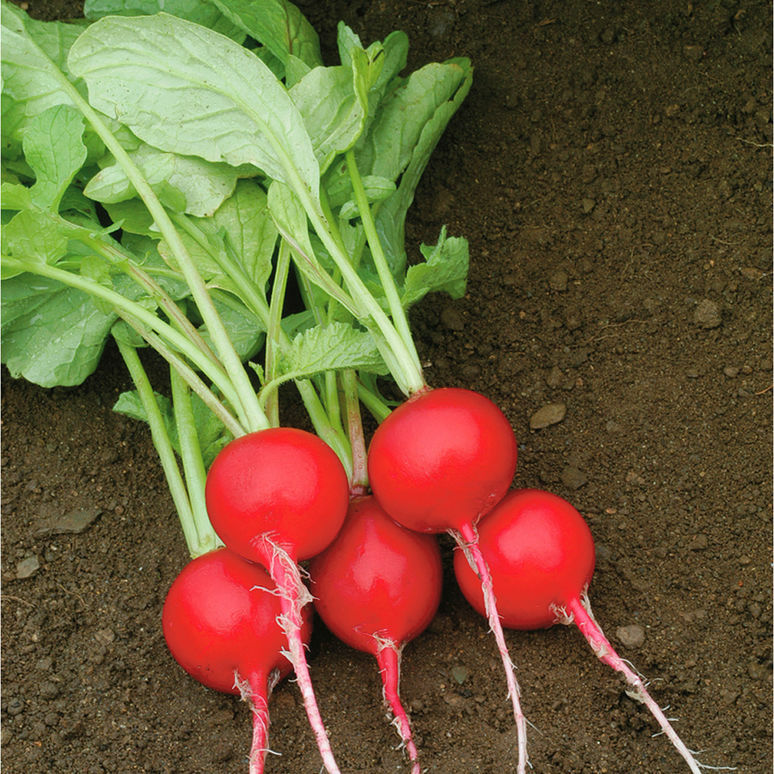 A great standard radish, with a nice sharp flavor and very crunchy! 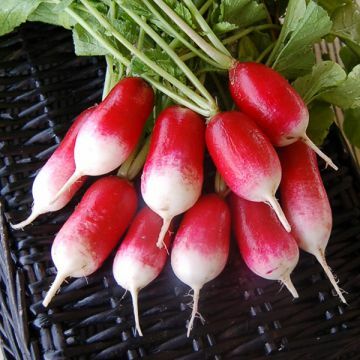 These are good snacking radishes or lovely on a salad. They make a divine relish this time of year. Consider making a radish spread with cream cheese, delicious spread on toast, or lettuce cups. If you don't eat them all up right away, you may enjoy a quick picked radish - slice the radishes, layer in a shallow container, sprinkle with cilantro, a bit of salt and cover with lime juice. Refrigerate overnight and use them to top your tacos, salads or sandwiches. Storage: Refrigerate in their container unwashed about five days. It is best to refrigerate your produce as soon as possible. A good general rule is to store your produce in the container it came in, refrigerated and unwashed. Items not delivered in a plastic container can generally be stored loosely in plastic and refrigerated in your vegetable crisper. Most items will last between 5 -7 days. Here are some good basic tips! Greens should be loosely wrapped in a paper towel, stored in a partially sealed plastic container, the bag they came in is best. 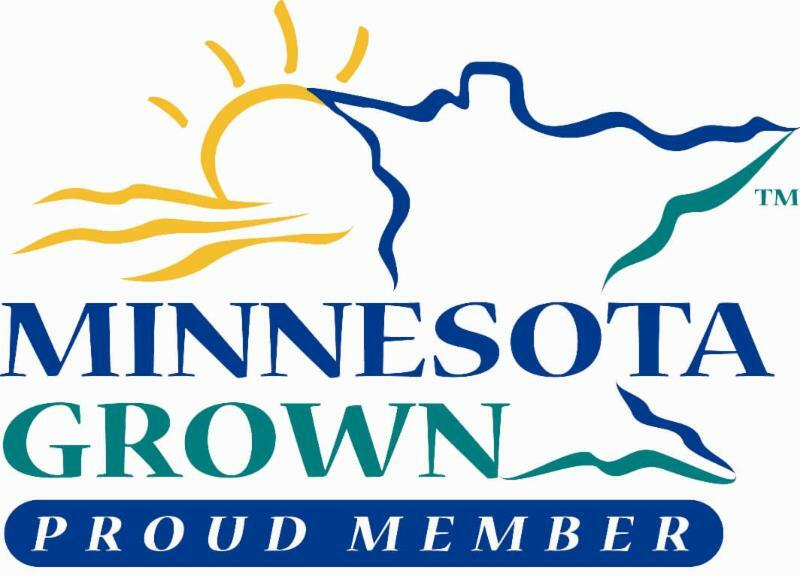 Root vegetables, if they have green tops attached, should be separated - treat the green tops like you would any other greens and store the root portion sealed in plastic. If your produce is bundled in a rubber band, removing it prior to storing to allow better air flow. Most root vegetables will last 5 days or more. Berries should always be picked through prior to refrigerating - remove any bruised berries to avoid ruining the whole batch. Most berries will last 3 days in the refrigerator. Herbs can be stored in a plastic bag in the crisper drawer of your refrigerator for 3-5 days. 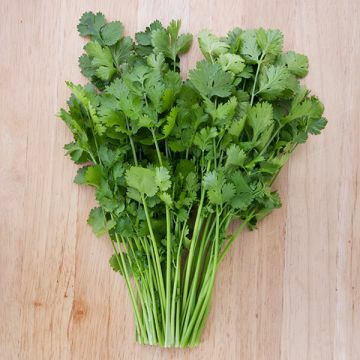 Some recommend making fresh cut to the herb stems and submerging the ends in water - like a floral bouquet. Leave lots of room for the leaves to breath and store at room temperature. When the much anticipated tomato season arrives, please do not store your tomatoes in the refrigerator. Tomatoes should be stored at room temperature for best texture and flavor. Your tomatoes will be vine-ripened and ready to eat when you get them. Avoid over-ripening, by keep them on a flat platter, cut side down, without overcrowding. Romesco is the newest hip dip, perched to knock guacamole off it’s position at the top. It can be made with items from the pantry but still tastes incredibly fresh, it works as a dip for raw vegetables (this week’s radishes….) or can be slathered in a sandwich or tossed with pasta. The flavors are rich, smoky and savory and is completely vegan, which makes it perfect to bring for a potluck, but make sure to label it for those who are allergic to almonds. It lasts for a few days in the fridge but I seems to eat it all within 24 hours. The sauce comes from Catalonia in Spain, where during the spring harvest festival where massive quantities of calçots, which are a thick sort of green onion or scallion, are grilled and then dipped in romesco sauce. 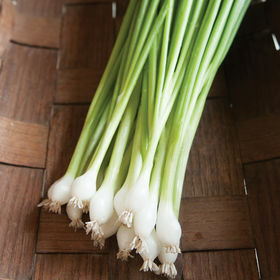 This would be a great use of the bundle of green onions from this week’s box, just brush them with olive oil and grill them and dip them in a bowl of romesco. Or you could make some pizza dough, use the romesco as sauce and top with grilled onions and fresh mozzarella…..the possibilities are endless. Rehydrate the chiles and sun dried tomatoes with hot water in a wide mouth quart mason jar. Add enough water to cover plus a finger width more, they will plump up and need more liquid. After 10 minutes, add the roasted red peppers, vinegar, salt and paprika and use a stick(immersion) blender to mix until smooth. Add the almond butter next and mix. The drizzle in the olive oil until the sauce is thick and bright. When serving in a bowl, add a drizzle of olive oil and a dash of paprika on top to make it look cute. The sauce can be refrigerated for one week or frozen for 4 months.